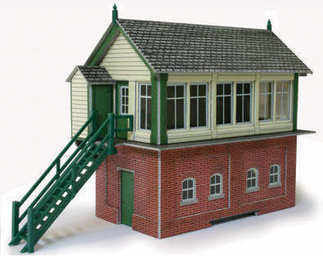 Recommended price £10.00 This kit makes a smart signal box with the locking room in brick and the box in wood with full glazing on three sides. It has an external stair and porch. Also included is a lineside hut and fuel store. (some parts are plastic).